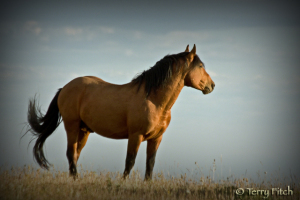 COLORADO SPRINGS, CO, (July 8, 2015) – “The Bureau of Land Management’s (BLM) announcement of plans for managing wild horses on public lands is not only disturbing but highlights their commitment to managing wild horses to extinction,” stated Ginger Kathrens, Volunteer Executive Director of The Cloud Foundation (TCF). Navajo wild mare and foal. ScenicAperture.com. Under a draft agreement that still must be reviewed by the tribe, a foundation established by Richardson and actor Robert Redford would provide funds and expertise to the Navajo Nation to halt reservation roundups that have seen thousands of wild horses shipped to slaughterhouses in Mexico. this is why we fight. this agency needs to be done away with and all those elite mother frackers sitting on their thrones following dirty harry’s orders —makes me so sick. lots of agencies need to step-up an be counted if they are really American’s . 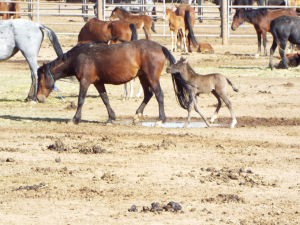 Approximately, three years ago in Reno, Nevada, The Bureau Of Land Management held a workshop to discuss whether horses held within their facilities required shelter, or not to survive. The introduction of this workshop, stemmed to appease public outrage surrounding the BLM facility located near Burning Mans’ land and near Reno, the Palomino Valley Center, in Nevada and stemmed from the photographic evidence of wild horses, dying and suffering in extreme heat with no way to escape searing hot, deadly desert Sun’s rays, held behind bars in the BLM facility. 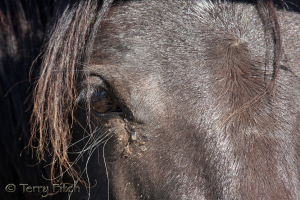 Sunday, Patty Bumgarner, Nevada citizen and wild horse photographer visited the Palomino Valley Center and what she witnessed was heart wrenching. there are things that have one to hell in a handbasket . then there are human factors going on here to but mainly we all need to try to worked together and be mindful of each other. Jonathan Ratner tests water. He visits streams in Wyoming, takes samples and tests it for E. coli. 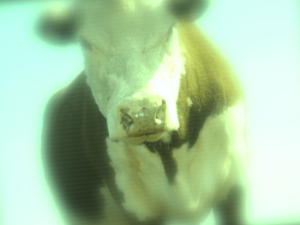 He’s been testing streams for years, concerned that waste from Wyoming’s 1.3 million cattle is polluting streams. And it is. Ratner sends his results to the Wyoming Department of Environmental Quality, or DEQ so that streams with too much E. coli can be put on the impaired waters list. That list goes to the Environmental Protection Agency, and, under the Clean Water Act, state and federal regulators should then take action to reduce the level of pollution. Ratner says that means keeping cattle from grazing too close to streams. 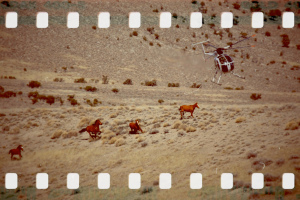 What is BLM Director Neil Kornze saying about wild horses? what is wrong with this picture other than everything America stands for. wh&b’s needs a winner and this damned demon is not it nor is his mentor “dirty harry reid”. and this will continue until we get rid of these traitor’s. “Kornze also asked for more money to reduce the herds of wild horses that trample sage-grouse habitat and otherwise imperil the rangelands, as HCN has reported. He said some 50,000 wild horses now roam BLM rangelands, about twice what the territory can handle. Some $10 million of the funding would go to develop better techniques for birth control vaccines or sterilization of the herds. why steal other peoples animal to do this kind of damage. was it the massage your ego. well if you are seeing this . you have got to know you have got to be the most disgusting evil pychopathic person that have really proud parents. bet they are just so proud to have you as a son ,just the luckiest people as there ever was . to tell the truth bet they are sticking their heads in the sand and covering for you so as not to be associated with you. sick, sick, sick. Remains of dead horses, some decapitated, found in Lodge Grass, Montana. Billings Gazette image. LODGE GRASS — The discovery of up to two dozen horses shot dead and dumped in a field has angered people in this reservation town. Residents looking for their missing horses several days ago discovered the dead animals in piles in a hay field roughly a mile west of Lodge Grass.